If you haven’t already heard, e-sports is a big deal. Being a pro at it can make you a millionaire. True story. Last year, a feature-length documentary by Valve went behind-the-scenes and followed three professional gamers from around the world (there’s one from Singapore!) as they competed in the premier DOTA2 tournament, The International, for a million dollar prize. The International has amassed over $18 million for this year’s prize pool alone — the largest yet, beating even its own record. Madness. It looks like Southeast Asia — and Singapore particularly — is trying to establish itself in the competitive e-sports scene. The Nanyang DOTA2 Championships is a top tier tournament hosted by Shanghai-based Content Producer KeyTV (formerly LGDTV), and will be held in Singapore from 26 October to 1 November at the Suntec Singapore Convention & Exhibition Centre. The competition will see ten teams (six invited international teams and four qualified ones from various regions) battle it out at the finals. The prize pool currently stands at $200,000, with an additional 25% of all in-game tickets sold added to the pool. Sure, it’s no match to The International, but that’s a handsome sum already. Though it will be the first, the Nanyang Championships is already being touted as one of the largest Southeast Asian DOTA2 tournaments of all time. And if you’re an avid competitive DOTA2 follower, you’ll be thrilled to know that star teams Vici Gaming and EHOME will be competing in this tournament. While competitive gaming and e-sports are picking up in Singapore, it’s still going to take some time before it reaches the scale it operates on in other countries. Singapore and Southeast Asia still has quite a distance to go in terms of recognising e-sports as a viable career option, and official support for e-sports is still lacking. 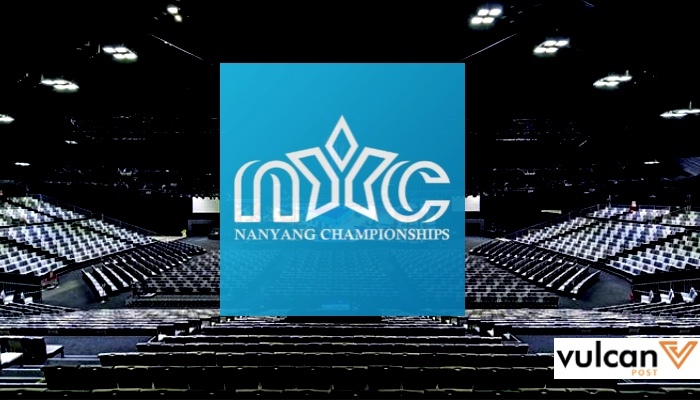 If you’re keen to see what the hype around e-sports is, and want to soak in the atmosphere of this sport that celebrates the great indoors (and good Internet), or want to see how the pros play DOTA2 — then maybe you should try getting cosy at The Nanyang Championships when it kicks off.